This article is a part of #KanvasLive, an interactive, cross-platform content series brought to life on the Kanvas app and AOL.com. See more on coverage here. Tucker Beathard may be a 20-year-old with a background in drums and teenage troublemaking, but the soon-to-be superstar has an undeniable knack for singing and songwriting. "It's probably because music is in his blood," explains the site for Tortuga Music Festival, the country music concert where Beathard rocked out this past weekend alongside tens of thousands of fans. 10 years after he became immersed in music by drumming with his brothers, Beathard is successfully following in the footsteps of his father, Casey Beathard, who has accrued two BMI 'Songwriter of the Year' honors. Casey Beathard co-wrote Eric Church's hit song 'Homeboy', which is inspired by his son. So although Beathard admittedly looks up to his father for country songwriting inspiration, the motivation clearly goes hand-in-hand. While Beathard has matured since his 'lost' days of school suspension, he hasn't lost the drive to follow what he believes -- he made the difficult decision to forgo a baseball scholarship in order to pursue music. And soon after he turned down this scholarship, he was signed into a recording contract and a publishing deal. The rebellious spirit that helped cultivate his father's penning 'Homeboy' serves as Beathard's drive as well. It's clear just from hearing his 2015 EP 'The Demos Vol. 1' that his lighthearted southern twang is riddled with defiance and grit, serving up the complex and continually surprising tunes that his fans love him for. While Beathard remains grateful and humble, he is also unapologetic for his drive -- something that is endlessly clear in his music. So although it was an unbelievable success for Beathard to be performing at Tortuga Music Festival, it is clearly just the beginning for the singer. Besides an upcoming debut album, this summer he'll be working with country superstars including Dierks Bentley, Miranda Lambert and Keith Urban. 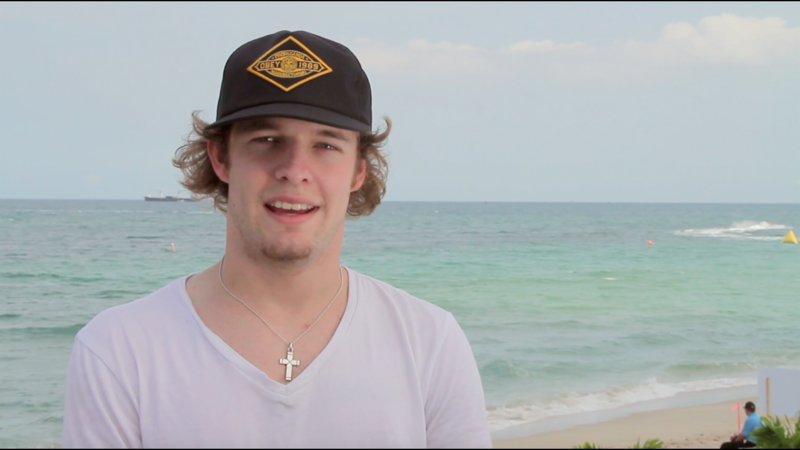 Hear more about Tucker Beathard -- directly from the source! Check out the video above to hear firsthand about Beathard's inspirations, passions and how he feels about Tortuga! The Tortuga Music Festival took place next to the picturesque B Ocean Hotel & Resort in Fort Lauderdale. For more information about the hotel, click here. Get an even closer look at Tortuga 2016 by downloading Kanvas!